Buying a new home is no small feat – you spend a lot of time preparing for it mentally, and at some point you feel that you simply have to accept what you come across. Organizations like Eighty Seven Park in Miami are able to give you what you want in a decent price range at a location you can come to love almost immediately. We’re going to look for three things that you should expect when you are investing in a condo, so keep reading and get ready to learn something new! The first thing you’re going to want to look for when you’re shopping for a new home, especially if it’s a condominium, is the amenities. The amenities at a condo differ significantly from a standard apartment, so let’s go into detail a bit. An apartment has very straightforward amenities, such as a parking spot, on-site laundry, a gym, maintenance, and even an outdoor pool. The pool of course might be closed during the winter, so that’s one down. Condos on the other hand have more expansive amenities that will make your experience that much better. •	Concierge  Front desk service will ensure that all of your needs are taken care of 24/7. •	Gym – Private gyms are common in condominium parks and if you’re investing in a pre-built home you can ask that one be included in your build. •	Pool – Private pools are available in pre-construction homes, ensuring that you can use them for both entertainment and exercise. Condo pools differ from apartment pools as they are often included with the home rather than simply being a part of the complex. 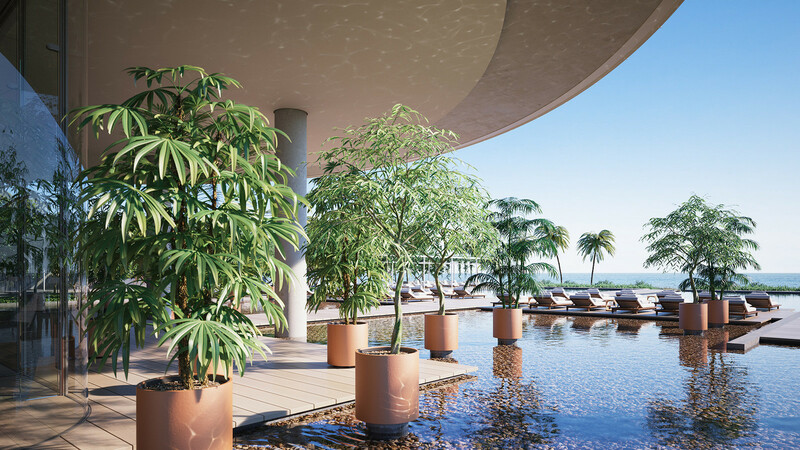 •	Outdoor Areas – If you’re a fan of nature then you’re in luck, the available condos, especially at Eighty Seven Park tend to have access to outdoor areas, which allow you to sit and read, exercise, or simply enjoy everything nature has to offer. These are just a few of the amenities that you can expect to find at the typical condo park but there are obviously going to be many more – it all depends on where you choose to build your home. Do remember that by living under an HOA you will be subjecting yourself to certain fees, including a monthly fee of several hundred dollars. It is, however, worth your while. Homeowner’s Association – Does your Condo Park Have One? Here’s a big question: does your condo park have a homeowner’s association? Commonly abbreviated as HOA, the homeowner’s association is responsible for ensuring that you have many of your basic needs taken care of. This includes the maintenance outside of the house (mowing, exterior maintenance, etc), road clearing, and aesthetic work throughout the entire community. The one downside to living with an HOA is that you will have to make sure that your home conforms to their standards and you will need to follow any rules that they have put in place. While it might sound a bit tedious, a homeowner’s association can definitely make things a lot easier for you. For this one we’re not talking about the on-site amenities but rather those that are outside of your home. Grocery stores, hospitals, etc, are all great examples of nearby amenities. These will help you out significantly, though their vicinity to your domicile could raise the price a bit – do keep that in mind! We have listed only a few of the things that you need to consider when you are thinking about moving into a condo. You’ll come across several other must-have items on your list, so keep an eye out and be ready to change your expectations at a moment’s notice. Buying a new home is a serious challenge – make sure you’re ready to meet it.